Note: Some 10 meter radios come with echo from the factory. No cb radios come with echo from the factory. Check options (or picture) before adding echo. Alignment of the TX/RX frequencies are critical for SSB operation. We recommend an open clarifier mod be performed on radios such as Galaxy 949, 959, 979, 99, 94, 98, 2547, 2517. High performance stable SSB operation, outstanding AM audio and PC programming make the SR-955HPC the new industry standard! Receive Enhancement – Your radio will be optimized for the best receiving performance – Schottky barrier diodes will replace cheaper diodes in the receive circuitry, the first stage receive transistor will be replaced with a more sensitive better performing transistor and the radio will be professionally aligned. Nitro Light Rings – Colorful LED rings will be installed behind the control knobs. They can be installed behind the original knobs giving it a back-glow effect or you can choose to have Clear Knobs installed in place of the factory originals. These knobs will glow the color of the LED rings you choose. Typically, a dimmer control is installed to adjust the brightness. This knob often replaces the delta-tune knobs on most Cobra radios as that control knob is not necessary. In cases where an Echo control knob is installed in place of the delta-tune knob, the dimmer is normally installed in place of the rf gain (receive strength). The rf gain control will be bypassed, thus setting the strength to high. In other cases, a dimmer knob can be replaced with a dual dimmer knob leaving the stock control of the meter and channel lights and the 2nd knob controlling the nitro lights. Clear Knobs – As explained in the Nitro Light Rings section, the radios factory original knobs can be replaced with Clear Knobs. This can be done with or without installing the Nitro Light Rings. When installed in front of the Nitro Light Rings, the Clear Knobs will glow brightly. Without the Nitros, the clear knobs simply give your radio a nice clean modern look. Channel and Meter Lights – You can choose to change the color of the channel LED and the meter light. You can also choose to change the color of the frequency display on radios that have one. 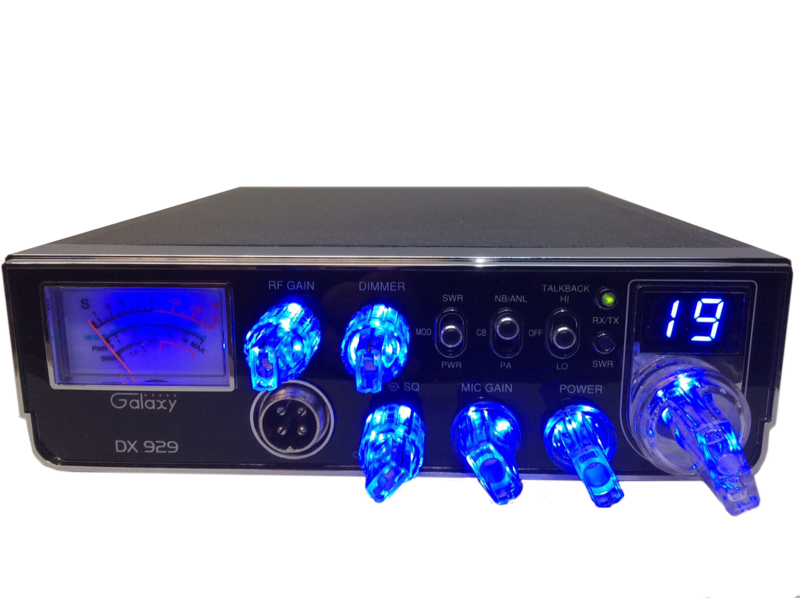 SSB Optimization/Alignment – If you plan on using SSB on a Galaxy radio, (959, 979, 2547, 99, 94, 98) it is highly recommend that the frequency clarifier be opened and the radio realigned. An open clarifier means your transmit and receive will track on the same frequency. When you tune in another radio operator, you will automatically be tuning your transmit onto the same frequency they’re transmitting. 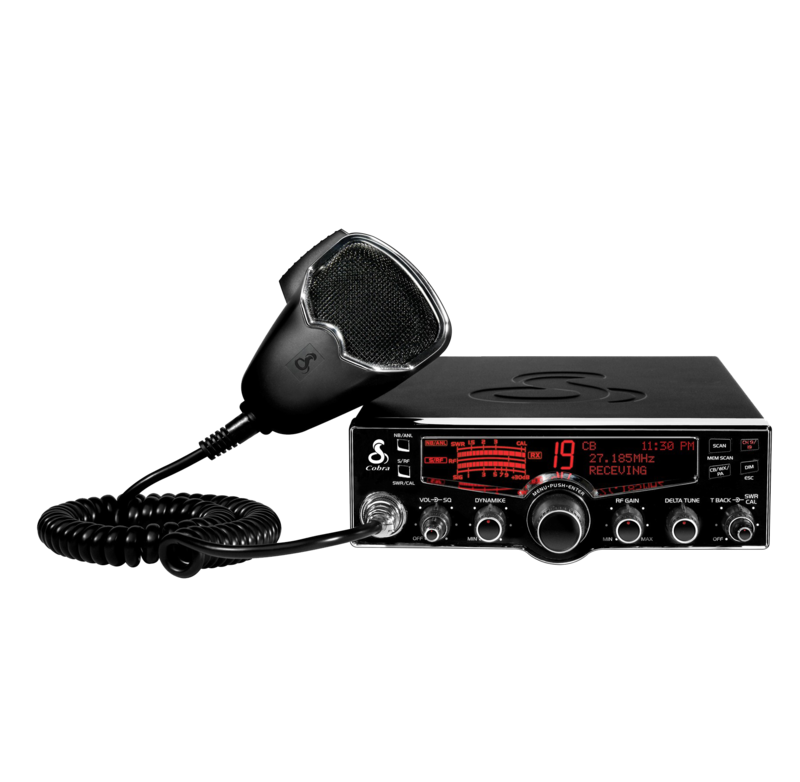 This product complies with fcc regulations for 10 meter/amateur radios. Transmitting on Amateur radio frequencies may require a license in your country. Please check with local authorities. In the U.S. it is legal to purchase and listen on amateur radios frequencies but a license is required to transmit. For more infortion about obtaining a license, visit the ARRL web site.